A prominent U.S. Senate committee has launched a formal inquiry to investigate criminal activity and other risks tied to the use of virtual currencies such as Bitcoins. The inquiry was revealed in a letter from the Senate Committee on Homeland Security and Governmental Affairs that was sent Monday to Homeland Security secretary Janet Napolitano. It constitutes the first congressional inquiry into virtual currencies at a broad scale. Virtual currencies are digital-based monies that can be sent quickly between people over the Internet, often with no central bank or government entity backing them. 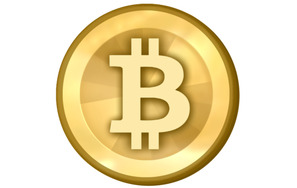 Bitcoin is one of the most popular forms of this type of currency. The letter, made public Tuesday, urges caution toward virtual currencies while at the same time citing the speed of virtual payments and their potential for profitable investment as attractive to entrepreneurs and investors alike. But, “their near anonymous and decentralized nature has also attracted criminals who value few things more than being allowed to operate in the shadows,” said the letter, which was signed by committee chairman Thomas R. Carper, a Delaware Democrat, and ranking member Tom A. Coburn, a Republican from Oklahoma. As part of the inquiry, committee staff have met with federal law enforcement entities, government officials and various other stakeholders in the business and technology communities over the past several months to learn more about the technology and what its implications are for Congress and the nation at large. “As with all emerging technologies, the federal government must make sure that potential threats and risks are dealt with swiftly; however, we must also ensure that rash or uninformed actions don’t stifle a potentially valuable technology,” the letter said. In the letter, the committee asks Secretary Napolitano to provide, among other information, any policies, guidance or procedures related to the treatment or regulation of virtual currencies and any minutes of interagency working groups involved in the development of any such policies. “The expansive nature of this emerging technology demands a holistic and whole-government approach in order to understand and provide a sensible regulatory framework for their existence,” the letter explains. Identical letters have also been sent to the Department of Justice, the Federal Reserve, the Treasury Department, the Securities and Exchange Commission, the Office of Management and Budget, and the Commodities Futures Trading Commission. The inquiry could ultimately lead to a Congressional hearing on virtual currencies. A committee spokeswoman declined to comment further on the investigation until responses to the letter are received. Virtual currencies like Bitcoin have been subject to enforcement actions and government crackdowns in recent months as their popularity has grown. Last month, the Securities and Exchange Commission charged a man in Texas with running a virtual-currency Ponzi scheme through which he raised about $60 million worth of bitcoins, the letter said. The Government Accountability Office has also issued a report calling for increased guidance from the Internal Revenue Service on virtual currencies, citing potential tax issues, according to the letter. The U.S. Treasury Department’s Financial Crimes Enforcement Network has already voiced concerns over money laundering in connection with the digital currency exchange Liberty Reserve.